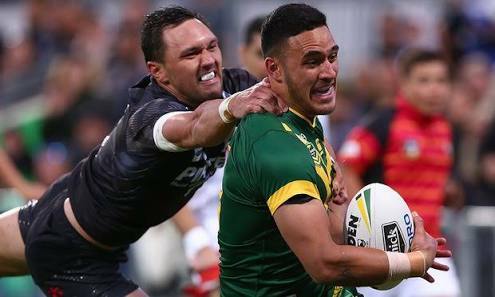 Australian centre Greg Inglis has praised debutant Valentine Holmes after an impressive display in the Kangaroos win over New Zealand in Perth. Despite his effort, coach Mal Meninga has guaranteed Josh Mansour a place in the opening Four Nations match after missing the test with the Kiwis. “It was a great effort from Val, he didn’t look out of place at all out there,” Inglis told AAP. “He has really fitted into the side. He has earned his spot after a great year and he showed what he can do out there. “He still had some work to do to score that try but got there.